Recently I have gotten some messages requesting Egyptian Anubis masks. I then realized I failed to even have anything more than a total of two Bastet masks in my shop this Halloween season! 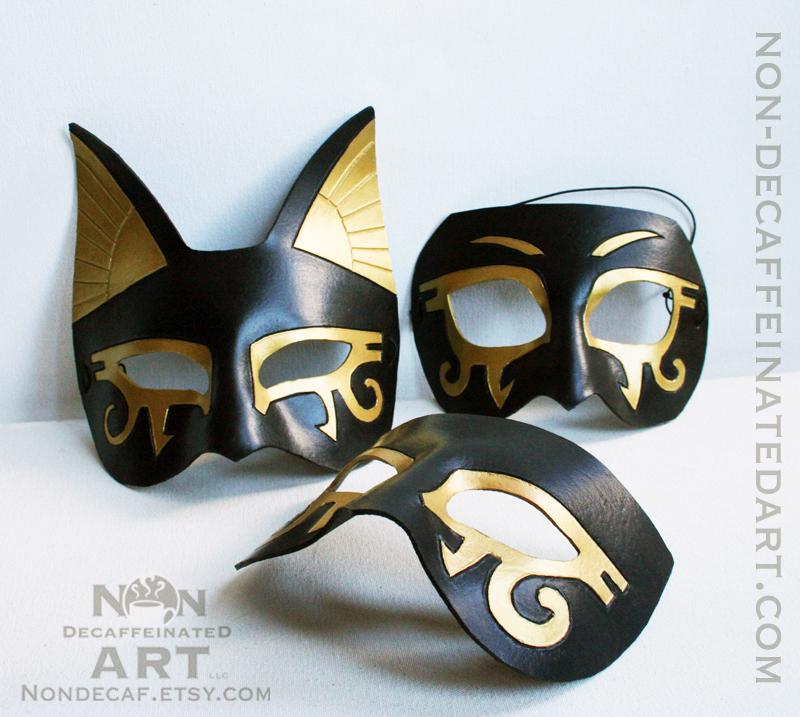 So in order to remedy that (though somewhat belatedly…) I’ve got a few Egyptian themed masks to post in my shop throughout this week, currently the Bastet mask is up and available for purchase. I’m still taking custom order for these as well, by that I mean I can do custom colors and add acrylic jemstones to the designs.